"USDA confirms what chefs have been saying for years: Pink Pork is Safe," wrote Top Chef judge and restaurateur Tom Colicchio via Twitter after he received word of the announcement. "Finally, the government does something I completely and totally agree with," tweeted Food Network's longtime host of Good Eats Alton Brown. The lower temperature is coupled with an additional technique, however. After whole cuts of pork reach 145 degrees, they must rest for 3 minutes before being consumed. According to the USDA, this is an important finishing touch to the process because the residual, carryover heat will destroy harmful pathogens. It's great news for meat connoisseurs that have always preferred their pork on the pink side. But the trickiest part of this change may have some long-lasting effects for the rest of us: re-educating old habits and thought processes. While professional chefs have something to rejoice about, most diners will likely have a hard time getting used to their pink meat deemed safe for consumption. "Historically, consumers have viewed the color pink in pork to be a sign of undercooked meat," reads the USDA's official statement. 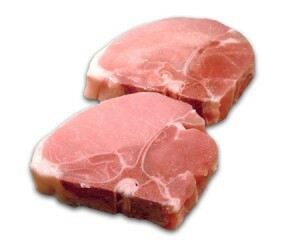 "If raw pork is cooked to 145 degrees F and allowed to rest for three minutes, it may still be pink but is safe to eat. The pink color can be due to the cooking method, added ingredients, or other factors."